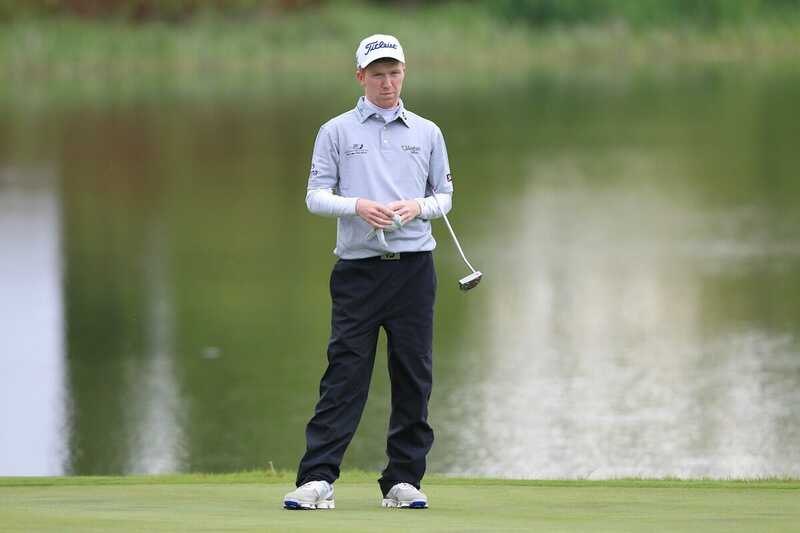 Gavin Moynihan and Ruaidhri McGee have progressed to the matchplay stages on a day of high drama at the Andalucía Costa del Sol Match Play 9. With only 32 players qualifying to the 9 hole matchplay stages both Moynihan and McGee were well outside the qualification number heading into the second round. McGee opened his week with a level par 72 in the first round was out in two under which was still one outside the projected cut line for weekend qualification. A disasterous double bogey on the par 5 tenth hole brought the Rosapenna professional back to level par but he bounced straight back with a birdie on his 11th hole. McGee then kicked into gear with closing birdies on the 14th, 15th, 16th and 18th to comfortable make the final 32 with a couple of shots to spare. Moynihan also needed a late ralley to pull through as he birdied three of hs last five holes to make an eleven man playoff for the final five places. Moynihan along with England’s Billy Hemstock and Sam Hutsby progressed after they all birdied the first extra hole, but it was Switzerland’s Girrbach and Denmark’s Rasmus Hjelm who prevailed at the second play-off hole, which they both birdied to complete the 32 man field for the weekend. The exciting new tournament will now feature a series of nine-hole match play battles over the weekend, as the Road to Oman’s finest compete for a €200,000 prize fund.